We are looking for TEFL monitors (or counsellors) to work on our English camps for schools. These camps are mini English immersion residential camps that typically run between 3-5 days in the south of Spain. These camps largely take place in the months of February-March and May-June, however this depends on when schools wish to have them. Whenever we have a school camp, our team of school camp TEFL monitors and coordinators will live onsite on the camp for those days. As a TEFL monitor we will train and support you to be able to plan and teach you TEFL classes each day. In the afternoons then you will run activities and sports with them, although you will also supervise them during various parts of the day including projects, crafts, evening entertainment, and waking up and putting to bed. This type of work means long hours and lots of energy, but it is also fun and engaging work in beautiful surroundings. Typically we will have camps run every 2-3 weeks or so, so then we don’t have a camp you will form part of our camp central office team getting ready for the next camp! When not working on a school camp, staff will work Monday-Thursday and a long weekend to be able to travel around Spain. For those interested, we would love to offer positions on our summer camps in July and August. With our ongoing training and development, we hope that you will be prepared to either become a full TEFL teacher on one of our summer camps, or possibly be a Coordinator; a position whereby you would be a manager of a team of up to 20 staff. To ensure TECS campers have the best possible experience. To represent TECS positively at all times. Prepare, plan and execute 3-4 hours of English class each morning. Supervise campers during wake up, putting to bed, meal times, showers, etc. To run all activities and sports as assigned. All camp staff sleep onsite during the 3-5 days of the mini camps. Must wear red TECS polo at all times. Once the children depart all staff will need to assist with the tidy up of the camp facilities and materials, and help transport them back to our base. Staff will work in the office Monday-Friday when not working on camps. They will be responsible for preparing the materials for upcoming camps. They will assist the School Camps director with any administrative or logistical tasks as necessary related to preparation of upcoming camps. They may be asked to assist with recruitment, be it in an administrative sense or helping out doing staff interviews. The hours of work will vary a lot, as candidates must recognise that working on the actual camps is anything but 9-5 living, with long hours needing to be put in by all camp staff. Staff will have time off each day which will be done on a rota basis. When possible we do aim to give staff an extra full day off straight after the mini camp. However, in between the mini camps staff will have this intense camp timetable made up by working in our central office Monday-Thursday, and having Fridays off. This will allow staff the change to travel around Spain. Finish of Work: June/July (We can be flexible with these days so if you can’t do the full dates you should still apply. Monthly Performance bonus: Up to €150 NET available. This is depending on how good the candidate’s job performance and strain they have had during the past month. 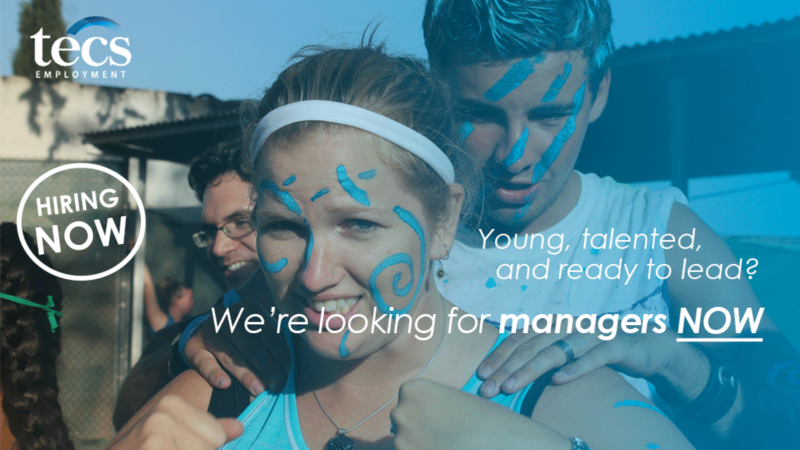 July Summer Camp Wage: €550-€1250 depending on position hired for. Candidates eligible to come with the Erasmus programme can receive an extra €230 per month. During camps all meals are provided for. Between camps there is lunch available in our on-site canteen Monday-Friday. Accommodation is provided for on camp. Between camps, accommodation is provided for in our company apartment. We offer weekly Spanish classes free of charge.